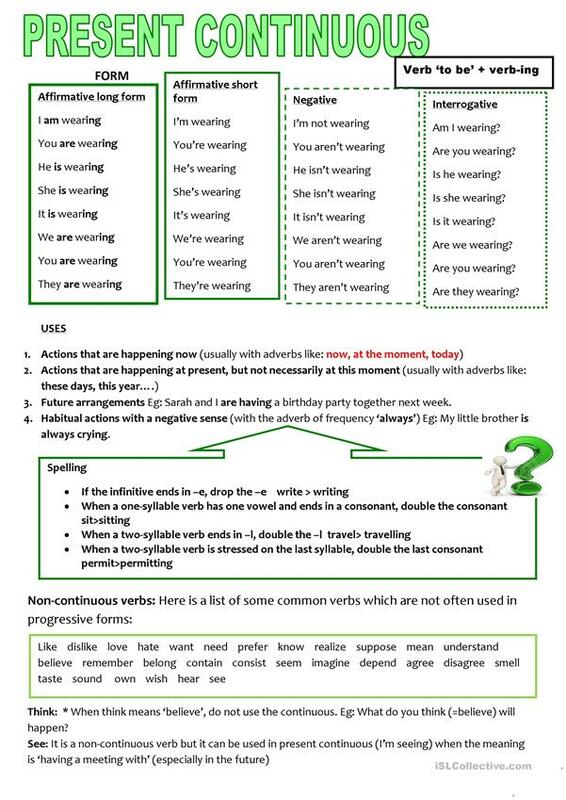 Simple single sheet to help understand present continuous tense. The above downloadable worksheet is a great resource for high school students, elementary school students and adults at Beginner (pre-A1), Elementary (A1) and Pre-intermediate (A2) level. It is aimed at revising Present continuous (progressive) tense in English. LeslyZoe is from/lives in Spain and has been a member of iSLCollective since 2013-03-29 20:05:38. LeslyZoe last logged in on 2019-04-19 19:21:19, and has shared 61 resources on iSLCollective so far.